When it comes to interest rates, we are facing both good news and bad news. The bad news is that yes, rates have been volatile lately. They’ve been going up since May 3 – sometimes jumping as much as .25% in a single day – and this has caused many home buyers to get cold feet. Many have completely halted their home search, hoping rates will once again drop back to the extremely low levels we’ve all enjoyed over the past few years. Unfortunately, that isn’t very likely to happen. With the economy showing signs of improvement, the Federal Reserve has pulled back on stimulus programs in anticipation of a housing market recovery. The recovery, of course, is good news – as long as potential buyers don’t become discouraged at higher prices and interest rates, and discontinue their efforts to purchase a home. In regard to those home buyers, it is important to convince them of two things: Interest rates are not going back down, and home prices are on a similar trajectory. We’re already seeing the beginnings of a recovery in home values, and prices should continue to increase from this point on. Therefore, pausing the search for a home right now is unlikely to result in finding a lower home price or a lower interest rate in a few months. If anything, this could very costly to the buyer, as the options available to them right now may not still be available in just a few months. In this respect, our bad news can also be good news. 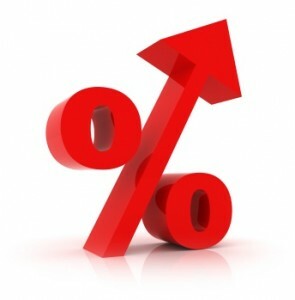 Yes, interest rates and home prices are continuing to climb, and buyers may become discouraged. However, skillful lenders and realtors should use this information to convince buyers that now is the time to act. If utilized correctly, this information should create a sense of urgency and spur more home sales, not less. This increase in rates may be a huge positive for our real estate market. Many areas I work in are seeing bubble-like pricing increases that aren’t the least bit healthy. The jump in rates is almost certain to help get us back to an equilibrium between buyers and sellers by cooling the market some. Time will tell.